Matrix strives to offer our customers a unified solution to all their requirements; this encompasses a full and varied range of individual services tailored perfectly to their needs. Whether you require a complete office lighting refit or rewiring or wish to review your emergency lighting system, wishing to extend an existing system, or make a small upgrade, Matrix will provide a full service review and approval certificates to ensure that all your electrical systems and the emergency lighting conform with all relevant BS legislation. 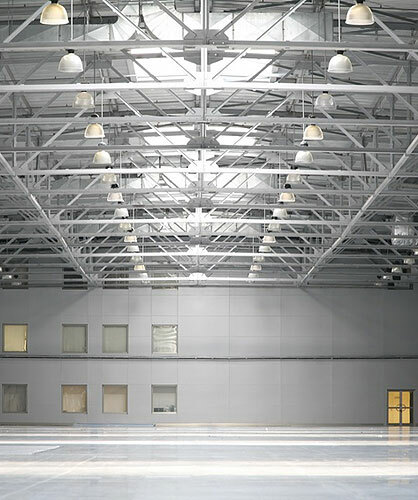 We can install warehouse and factory lighting systems. Modern systems are much more energy efficient and you could achieve considerable cost savings. It makes sense to upgrade your systems making sure they are compliant with safety requirements and current regulations, including those for emergency lighting. We know from experience that most businesses in the UK are unaware that their lighting is one of the highest users of energy. In fact, the Carbon Trust state that “in most organisations, lighting accounts for up to 40% of total electricity costs”. 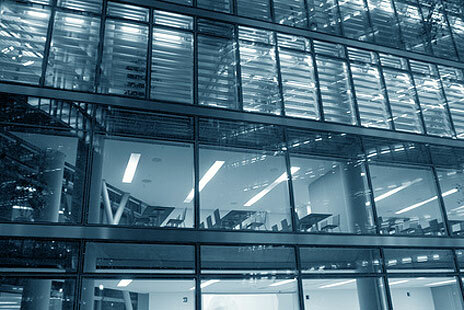 Our lighting projects team are committed to reducing your emissions and energy costs. We can advise on how to reduce your energy consumption, this can range from more efficient lighting to balancing your electrical load. LED lighting has become very popular and with our extensive knowledge of this industry we are able to provide cost effective lighting to replace inefficient and outdated lighting. Emergency Lighting comes into play when the normal lighting fails, for example in a fire or any other situation where the main power fails. Emergency Lighting should work automatically and provide sufficient illumination to allow people to find their way to emergency exits. It is critical that Emergency Lighting is located in the right places and regularly inspected and maintained to ensure that it works properly when you really need it. Many work places, commercial and industrial premises as well as most public buildings are required, by law, to provide Emergency Lighting. Matrix has a great deal of knowledge and expertise in this area. We design, install and maintain Emergency Lighting systems. We will survey your premises and advise you on the best solutions for your situation. We will make sure that all fittings as well as emergency and exit signs are of the right type and located in the correct position. The completed installation will comply with all the regulations and legal requirements. We also carry out periodic testing and will provide you with detailed reports to ensure that your premises comply with the current legislation and Fire Safety Certification standards. All of our work complies with current legislation and applicable British Standards.